ArtistTree was my first design company – started with Dave Tottie ( 50% partner) in the Beaches – again at Neville and Queen ( like first VDR ). Our clients at this time were Sony Music, The Toronto Humane Society ( Animal Talk Magazine) Exposure Magazine covers, Ray Wallani ( I met iDirect later through Ray). We also had a sign department in the basement with a plotter etc. For those who remember when the Tiger Cats were out of cash and about to fold ( aren’t they always?) we came up with the “Keep The Drive Alive” campaign to raise money and boost ticket sales. Eventually – this lead to us working with the team to launch “The Roar” magazine. The Roar lasted aprox 4 or 5 issues. We opened a second office in Hamilton and staffed up to about 10 people in total. All this was taking place right around the time when the Internet was just taking off. I later left the company – moved into my friend Norm’s space and started working on what would become Graphicjam Digital Arts. Graphicjam started in Norm’s shop – Creative Reproductions. It was here I first met Rick and Petros, who actually worked for Norm before they worked for me. ( It’s a long story.. ; ) Also at this time, I met the guys from Internet Direct, John, Colin and Ross – who had a fast growing ISP with almost 10 thousand users. 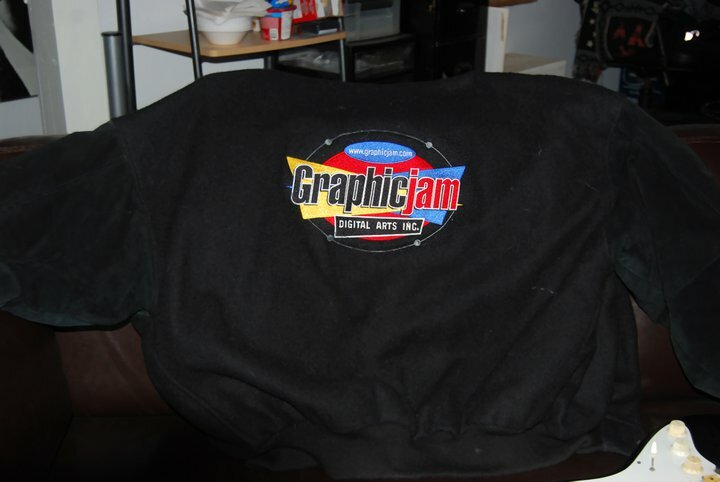 Graphicjam would go on to do all Idirect design and web work till their merger with Look and after. The company now has upwards of 250,000 users. After Norms we moved to a warehouse on Dundas and hired 2 employees. We then moved to 21 Carlaw. Tory and I lived upstairs and we also hired Jackie. During this period, we did work for Nelvana ( First website) TUCOWS ( all brands, web design and print materials for 4 years ) Smirnoff, BMG Music Canada and more. I invited Ben from Edge Interactive to take an office and also offered an office to the guys at iRover. Graphicjam went on to merge with iRover – a company owned by Scott Waddell and Eddie Chu and has since also merged with Edge Interactive, a high profile Toronto marketing company. WiredKingdom provides technology integration solutions to ISP’s and top tier Media websites worldwide. Distributed software architectures running on dynamically enabled platforms such as Brand Aware and Eclipse offer the best in both robustness and ease of use to our many clients. • Brand building for companies like Digital 4Sight, Tucows, Look Communications and Big Brothers. • Custom web development for companies such as Nelvana, Toronto Life, Tucows. • Content distribution for major broadcasters such as CBC, Chatelaine, Canoe. • Successful advertising sales, and advertising sales training for Nortel. Chum FM, and Look Communications.